In his new book, 51 Imperfect Solutions: States and the Making of American Constitutional Law, Sixth Circuit Judge Jeffrey Sutton advocates for a renewed focus on state constitutional law. American constitutional law is dominated by court decisions—both state and federal—interpreting the federal constitution. The “critical conviction” of Judge Sutton’s book is that “a chronic underappreciation of state constitutional law” has distorted the shape of state and federal law and skewed “the proper balance between state and federal courts in protecting individual liberty.” Too many issues have been nationalized, in Judge Sutton’s view, because courts have resolved challenges to a state’s action under the federal constitution without first considering what that state’s constitution has to say about the matter. Judge Sutton suggests that this tendency has diminished respect for state constitutional guarantees and trust in state court judges. Judge Sutton’s book articulates a distinctly federalist view of constitutional law, and it is filled with ideas that conservatives and liberals alike will both applaud and question. The heart of the book is four stories about the interaction between state and federal courts over whether and how much to protect four specific individual rights. Judge Sutton uses these stories to make his case for putting the states at the “vanguard” of American constitutional law. Each story describes the complex interactions between state and federal courts as they decide which constitutional rights to recognize, with the state courts portrayed as the heroes of each episode. The most powerful story is about how state and federal courts responded to the eugenics movement of the early 20th century. Many readers will remember from law school Justice Oliver Wendell Holmes’ infamous line that “three generations of imbeciles are enough,” which concluded his opinion in Buck v. Bell, an 8-1 Supreme Court decision approving the forced sterilization of a mentally disabled person. Fewer, however, know that several state courts had held similar forced sterilization laws unconstitutional before that 1927 decision. Those state court decisions almost uniformly held that state eugenics laws violated due process or equal protection guarantees. But after Buck v. Bell, most state courts “fell in line” with the Supreme Court’s decision, even when interpreting their own state constitutions. The reasoning in these subsequent decisions echoed that of Justice Holmes, despite the widespread skepticism of similar reasoning in many state court decisions just a few years earlier. This, according to Judge Sutton, is a cautionary tale. State courts initially recognized a grave injustice, which the Supreme Court did not see. But this triumph of justice became a tragedy when state courts began following the Supreme Court’s flawed analysis for decades after Buck v. Bell. These courts acted as though a decision under the federal constitution preempted the field of what state constitutions might have to say about eugenics laws. Judge Sutton identifies several lessons from this episode in American constitutional law, two of which are particularly notable. The first, a theme that runs throughout his book, is that when the Supreme Court definitively resolves a complicated national policy debate as a matter of federal constitutional law, its judgments can stifle further constitutional debate at the state level—even when, as a legal matter, states remain free to act as they please. Judge Sutton’s second lesson is the flipside of the first: state courts, he says, should resist the urge to interpret their own constitutions “in reflexive imitation” of federal law. 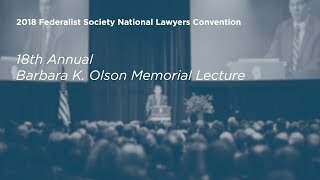 As he puts it elsewhere in his book, relying too heavily on the Supreme Court as the “guardian of our rights” runs “the risk of creating state courts that lack the necessary fortitude to fill the gaps when we need it most.” That is an important lesson, but it invites further questions about an equally important responsibility of courts at all levels to recognize that courts and constitutions need not resolve all policy debates, and for jurists to have the humility and fortitude to leave some issues to the legislatures and the people. Another chapter uses the exclusionary rule to tell a slightly different story of how state courts approach constitutional rights before and after landmark Supreme Court decisions. 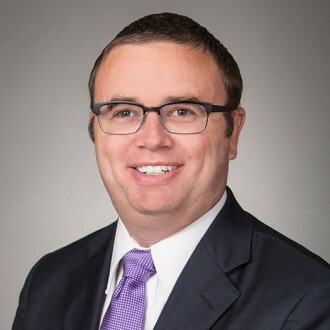 Judge Sutton traces the development of the exclusionary rule from the early state court cases rejecting it through the Supreme Court’s adoption of an exclusionary rule for federal prosecutions in its 1914 decision in Weeks and its 1920 decision in Silverthorne Lumber. At the time, the Supreme Court left the states free to decide whether to exclude illegally obtained evidence in state prosecutions. States responded in a variety of ways. Some slowly adopted an exclusionary rule through legislation, others embraced exclusionary principles through court decisions interpreting their state constitutions, and, as Judge Sutton recounts, many rejected the exclusionary rule altogether. That is, until the Supreme Court’s 1961 decision in Mapp v. Ohio nationalized the exclusionary rule. Judge Sutton views the development of the exclusionary rule as “a story with some potentially promising features.” Chief among them, from his perspective, is that the Supreme Court did not impose a nationwide exclusionary rule right away. This allowed the states “to decide for themselves how to weigh the costs and benefits of evidentiary exclusion.” And this state-level experimentation “provided more empirical information about the pros and cons of exclusion” before settling on a single constitutional rule for state and federal prosecutions. Judge Sutton points out that the states took seriously their responsibility to decide for themselves whether their constitutions required an exclusionary rule. Unlike in the aftermath of Buck v. Bell, the state courts did not automatically adopt the federal rule. Having an example of state courts continuing to grapple with the meaning of their own constitution even after the Supreme Court has weighed in is essential in a book whose central thesis is that state courts should do so more often. 51 Imperfect Solutions then picks up the development of the exclusionary rule with the Supreme Court’s 1984 decision in United States v. Leon, which adopted a “good faith” exception to Mapp’s exclusionary rule. Judge Sutton recounts the states’ surprising reaction to that decision: twenty states rejected Leon through court decisions construing their own constitutions. Even as Judge Sutton praises the state courts’ independence, he worries that some courts made their decisions for the wrong reasons, elevating policy concerns over a careful interpretation of the text and traditions underlying their state constitutional guarantees. Others might worry that the state court reaction to Leon casts doubt on whether state courts can ever truly escape the shadow of landmark Supreme Court decisions on federal constitutional questions. State courts, which were the original skeptics of the exclusionary rule, became its biggest defenders after having the rule forced upon them, even when the Supreme Court later gave them greater flexibility. In that respect, the story of how state courts dealt with the exclusionary rule looks remarkably like the story of the state court response to eugenics laws. The third story in 51 Imperfect Solutions concerns court challenges to school board policies that did not exempt Jehovah’s Witnesses from requirements to salute the flag and participate in the pledge of allegiance. This episode is less about the relationship between state and federal constitutional guarantees, and more about how public opinion can influence court decisions at all levels. Judge Sutton recounts that state and federal courts were initially unwilling to take the Jehovah’s Witnesses’ claims seriously. That changed after the Supreme Court decided Minersville School District v. Gobitis in 1940, rejecting a free exercise challenge to a local policy requiring participation in a flag-salute ceremony. Within four years, two state supreme courts had interpreted their own constitutions to provide the protections Gobitis denied, and the U.S. Supreme Court largely reversed course in West Virginia Board of Education v. Barnette, where it found that forced participation in flag-salute ceremonies amounted to compelled speech forbidden by the First Amendment. Why such a rapid change? Public reaction to Gobitis was swift and overwhelmingly negative. 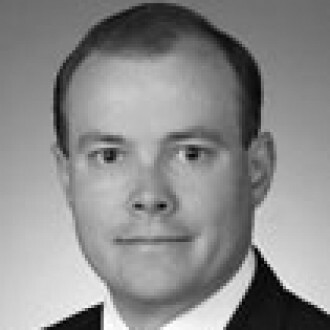 Judge Sutton catalogs 170 newspaper editorials criticizing the Gobitis decision; The New Republic, for example, published an editorial drawing parallels to Nazi Germany. The state courts may have been “path blazers” in the sense that they published their decisions retreating from Gobitis first, but Judge Sutton’s account suggests that it was the American people—not state courts—who moved the path of American constitutional law in this instance. Along the way, Judge Sutton asks whether education funding advocates actually benefited from losing in Rodriguez. He doubts the federal courts would have been willing to go as far as state courts have in protecting school funding, calling this a “federalism discount” baked into federal constitutional rulings. And he questions whether state courts would have been as receptive to state constitutional challenges if the U.S. Supreme Court had already recognized some version of a federal constitutional right to adequate funding. State courts, Judge Sutton argues, are more receptive to constitutional claims when there are clear lines of accountability placing the burden to protect individual rights on state governments. Otherwise, Judge Sutton worries that state courts may use federal constitutional guarantees as an excuse to do nothing. This is one of many distinctively federalist arguments Judge Sutton makes throughout 51 Imperfect Solutions. The central theme of Judge Sutton’s book is that courts and litigants too often overlook the fact that our individual liberties do not flow exclusively from the federal constitution. Our federal system provides two layers of protection for individual liberties—one at the federal level and another at the state level through state constitutions and other state laws. State constitutions thus play an important role in protecting liberty. In his book, Judge Sutton contends the legal system should take those state constitutional guarantees more seriously by treating them as the separate and independent barriers protecting individual liberty that the founders envisioned. Judge Sutton’s book also embraces federalism in other ways. He envisions a state-first approach to recognizing constitutional rights, where the states are the first ones to decide whether to recognize a constitutional right, and where they do so as a matter of state constitutional law. Only after the state courts have weighed in would the federal courts decide whether to adopt a uniform constitutional rule that applies nationwide. As Judge Sutton notes, this allows state courts to adopt different constitutional rules that respect and honor differences among the states. The language, history, and tradition underlying state constitutional protections differ, so it would be surprising if every state adopted the same answer to a particular constitutional question. And if state courts err in their interpretation, state constitutions are far easier to amend than the federal constitution. For some constitutional questions, Judge Sutton hopes that the states may arrive at a range of acceptable solutions tailored to local circumstances that eliminates the need for a uniform federal rule. While many will find Judge Sutton’s commitment to federalism attractive, his state-first approach to constitutional decisionmaking is likely to be controversial. There is no obvious way to implement his proposal, which depends on federal courts at least temporarily abstaining from resolving federal constitutional challenges in favor of letting state courts decide similar issues on state constitutional grounds first. Although the U.S. Supreme Court can avoid resolving constitutional questions while they percolate in the state courts, other courts generally cannot. Federal courts of appeals, and even many state courts themselves, do not have similar flexibility (or at least do not have that flexibility if they are not prepared to recognize the asserted right as a matter of state law). They generally must resolve the constitutional questions presented to them by litigants. Few litigants will willingly shelve a federal constitutional claim, and in many cases may actively prefer one, precisely to obtain a decision with nationwide consequences. Judge Sutton also advocates for a more modest version of his state-first approach. Under this model, state courts would always resolve state constitutional challenges before turning to parallel federal claims—even if it means articulating why the state constitution rejects a right that the federal constitution clearly recognizes. The courts of only three states—Oregon, Maine, and New Hampshire—have adopted this model, and few courts are likely to follow suit. Busy judges rarely look for more work, especially when addressing an issue will not affect the outcome of the case. But judicial economy is not the only objection; there is also wisdom in the principle that courts should not issue advisory opinions. The quality of judicial reasoning and analysis generally drops as courts stray from the issues that actually matter to the outcome of a case, reflecting natural human tendencies given limited time and attention spans. It is thus far from clear that this state-first model would increase the attention paid to state constitutional interpretation or the quality of state constitutional decisions, however laudable those goals potentially are in the abstract. 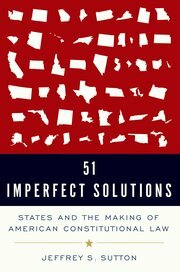 A more fundamental problem lies with the premise of 51 Imperfect Solutions, which “take[s] for granted that vigorous individual rights protection by some court is beneficial” while recognizing “that may not always be the case.” In other words, the book offers a take about which courts (state or federal) interpreting which constitution (state or federal) would be better suited to recognize new constitutional rights protecting individual liberties. This, of course, assumes that some court should be recognizing a particular right in the first place. Indeed, a legitimate critique of 51 Imperfect Solutions is that some courts might interpret it as a call for more judicially recognized constitutional rights. One could read the first 175 pages of the book as a call for common-law constitutionalism, where the existence and scope of constitutional rights are developed largely through a back-and-forth conversation between state and federal courts. That dialogue inevitably tilts towards constitutionalizing rights at some level—state or federal—rather than considering the role of the legislatures in protecting rights by statute. Moreover, because incorporation ensures that almost all federal constitutional protections automatically apply to the states as well, state courts may have little to add to the conversation other than extending constitutional protections beyond those federal law already affords. But reading Judge Sutton’s book as a call for judicial activism would be a mistake. Despite saying little about how courts should interpret constitutional provisions, 51 Imperfect Solutions subtly argues that state courts should interpret their constitutions based on text and tradition. Judge Sutton suggests that, when state courts recognize rights that federal courts have not (or symbolically reject rights that federal courts have recognized), they should do so only through “marshaling the distinct state [constitutional] texts and histories and drawing their own conclusions from them.” If those “first principles” cannot justify recognizing or extending a constitutional right, Judge Sutton suggests state courts should not do so. This is a message many judicial conservatives will applaud, along with Judge Sutton’s rebuke of Justice Brennan’s view a generation ago that (in Judge Sutton’s words) “[s]o long as there is a progressive will . . . there is a new way for granting relief” federal courts denied by imposing the same obligations via creative interpretations of state constitutions. Progressives and conservatives alike have also paid too little attention to a second, equally important aspect of Judge Sutton’s argument: In his view, federal courts should exercise more judicial restraint. Although Judge Sutton believes state courts should do more to protect individual liberty through their constitutions, he believes federal courts should respond by doing less. The U.S. Constitution “was not designed to facilitate rights innovation,” Judge Sutton argues. The founders “thought of the States as the first bulwarks of freedom,” and Judge Sutton urges his fellow federal judges to allow the state courts to exercise that responsibility by not rushing to nationalize every issue. Many will find this a refreshing touch of judicial humility. 51 Imperfect Solutions suggests the “federal-first” approach—treating the federal constitution as providing a national answer to every policy dispute—has slowly eroded trust in the federal judiciary. Many court observers agree. Judge Sutton hopes that re-establishing “[s]tate primacy in guarding individual rights” will restore confidence in both the state and federal judiciaries. Adopting Judge Sutton’s dual vision—with more active state court judges focused on state-level constitutional sources and more restrained federal judges—would thus require a fundamental shift in the way litigants, courts, and scholars approach constitutional law at all levels. Such a shift would probably have to start with education about our system of federalism, not just in law schools, but in high schools across the country. It is precisely the boldness of what Judge Sutton is really proposing that makes it so thought-provoking. 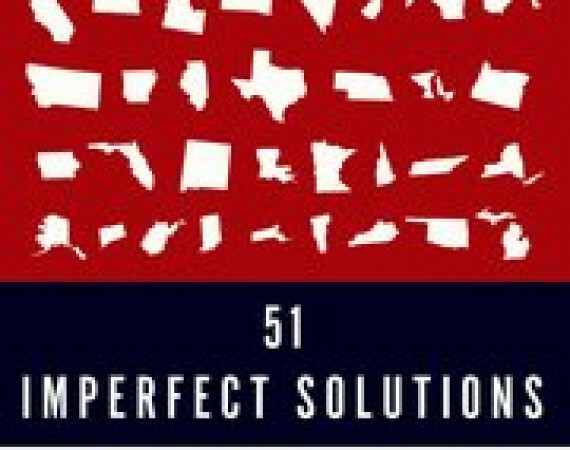 51 Imperfect Solutions invites a conversation worth having.